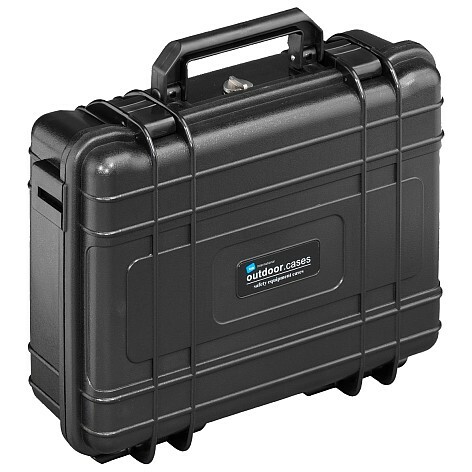 The outdoor cases from case specialist B&W international were developed for the toughest outdoor employment and were tested under extreme conditions. They are designed for temperatures ranging from - 40°C to + 80°C, they are stackable and absolutely watertight, dusttight and airtight. They are crackproof (test: a 2 meter height of fall to a concrete floor) and absolutely indestructible. NOTE: Pictures are for reference only, please check part number/model number above for actual product, color and inserts/accessories provided. SI = small cubed foam padding customizable by user. *The dimensions stated are width x height x depth for a closed upright case or closed upright bag. Dimensions specified in inches may be subject to very small rounding errors due to conversion from mm. Specifications are subject to modifications without notice. This product was added to our catalog on Saturday 29 August, 2009. ANALOG VOLTAGE PANEL METER 150V AC / 2.4" x 1.9"